You can totally rock this recipe by using your own twist, like combining your own favorite vegetables and use boneless skinless fillet waiting for you at the supermarkets. 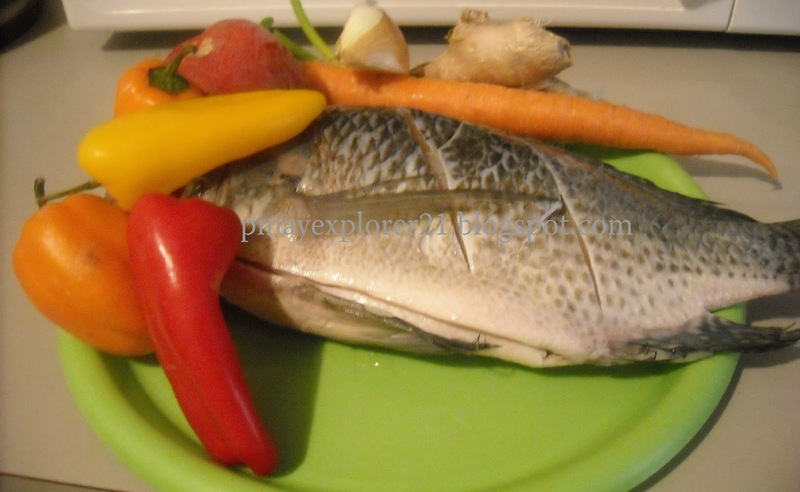 I simply love everything seafood and its fun cooking them:) C'mon lets start cooking..wink! 1.) In large frying pan, put cooking oil, wait for couple minutes until it HOT. 2.) Meanwhile put some salt and pepper into the fish. Slowly put the fish on hot pan and let it cook for 5 minutes on each side until golden brown. 4.) In small pan, add little oil and sauteed the chopped vegetables. Add little vinegar and sugar and let it simmer for like 4-5 minutes. Taste according to your preference. 5.) Put the cooked fish in large plate, put the sauteed vegetables on the top of the fish. I love fish but hardly ever make it. This recipe looks easy and delicious. Thanks! Ang sarap naman. 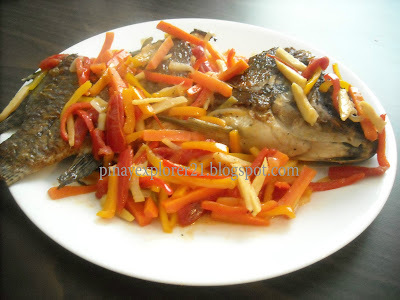 I love fried tilapia..
Oooh, makes me crave for one. Pahingi :) Do your hubby and kids eat it too? For some reason, my family does not buy tilapia but I got to eat grilled tilapia from a friend's resto in Pagadian. Sarap. Ganun bah, masarap din yung grilled:) Thanks! This sounds lovely and fresh! I love seafood!! This one looks delicious my friend. Tilapia will forever be a favorite. It's a versatile food and cheap, too. Thanks for the recipe. 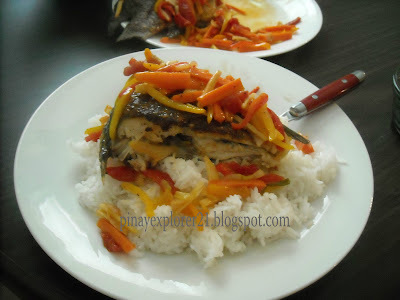 Of all the fishes, Tilapia is my favorite. I used to eat just bangus and tilapia before. Then I have learned to eat galunggoy and tamban, then maya-maya and so on. Hehe. But tilapia is my favorite. I love tilapia too. I love making this one ginataan. Mmmm.. this one's one of my faves! Tilapia is the best! Hahaha one of my favorite fish. I like the fins and tails when it is fried. Crunchy! Love your dish and recipe. Looks so yummy! something like that, pero never add any ketchup on the vegetables. thanks! Honestly, I'm not a tilapia fan. I only eat crispy fried tilapia nothing else. thanks:) I love anything fried aswell. That looks like a really lovely dish. I like eating fried tilapia too. tilapia is a very versatile fish, your dish looks so delicious!